All the world’s myriad cheeses – soft, hard, orange, blue, holey, wrinkled, smelly – spring from one miracle ingredient: milk. But magically turning milk into cheese is far from easy-peasy. For a start, cheese is a living organism, requiring vigilance and care to sustain conditions for bacteria and fungi to flourish. Secondly, how the cheese behaves and tastes is largely determined before the animal is even milked. One variable is species. Sheep’s milk is sweeter than cows’ milk, with undertones of roast lamb and lanolin in a mature sheep’s cheese like Lanark Blue from the Scottish Borders. Good goats’ milk, say in Ailsa Craig cheese, tastes like it has absorbed herbaceous oils of tarragon or thyme on a background of dry, crisp white wine. Rory Stone of Highland Fine Cheeses, which was established exactly 50 years ago in 1963, makes six cheeses from cows’ milk, but the breed and feed also affect individual flavour. The richest cow milks come from Jersey and Guernsey breeds, pale yellow with fatty globules for smoother, fuller cream, butter or cheese. The Dutch breed the world’s highest production dairy cow, the black and white Holstein, producing a lifetime average of 26,000 litres of milk. Often, like dairy herds supplying Highland Fine Cheeses, Holsteins are cross-bred with fertile Friesians, because a cow only produces milk after it’s given birth: so, more calves, more milk. Seasonally, you may detect high, fruity flavours in milk from September to May, when cattle feed on silage (pickled grass), balanced scientifically with soya, wheat or lupins for protein, and treacle and oats for carbohydrate. From May to September, cows feed on fields of grass, clovers and meadow flowers, and their milk takes on sweet, caramel, herb and floral tones, so these warm, wet months are the best time for making cheese. Cheesemaking is, essentially, the art of preserving milk. First, fresh milk is pasteurised to 72°C to kill any ‘bad’ bacteria, before ‘good’ bacteria (or a ‘starter culture’) are introduced. The starter speedily multiplies and sours the milk, converting milk sugars (or lactose) into lactic acid, helping to preserve and harden the cheese. Eventually these organisms mature or ripen the cheese too, breaking down the milk’s natural fats and proteins to create new flavours, smells and textures. The yoghurty milk then flows into cheese vats, where rennet (an enzyme derived from calves’ stomachs, or from thistles or figs for vegetarians) is added, coagulating the milk into solid curd and liquid whey. When this stiff milk is put into muslin or a pillow case and squeezed, it becomes ‘fresh’, ‘curd’ or ‘cottage’ cheese – low in fat because it still contains watery whey. Using the traditional, ancient recipes of a Highland croft, Rory tightens the curds more with heat, ‘scrambling them like eggs’ as he puts it, into a light, lemony Skinny Crowdie – to which he then adds double cream, and rolls into logs tossed in toasted pinhead oatmeal for nutty, buttery Caboc, or with crushed black peppercorns for bitey Black Crowdie (‘Gruth Dhu’ in Gaelic). Curds destined for soft cheese like brie and Camembert are left simply to drain naturally in moulds and turned periodically, while curds for hard cheese like cheddar are physically pressed with a sieve-like ‘pitch’, cut into blocks, turned and piled to get every last morsel of whey and moisture out. Hard cheese blocks are dry salted, while soft ones are submerged in brine baths. Finally, mould is introduced to the soft cheeses in high humidity. Mould, like bacteria, breaks down the curd into, for example, a gorgeously ripe and runny Highland Brie, where white mould ripens the cheese from the outside in, for a week or so. 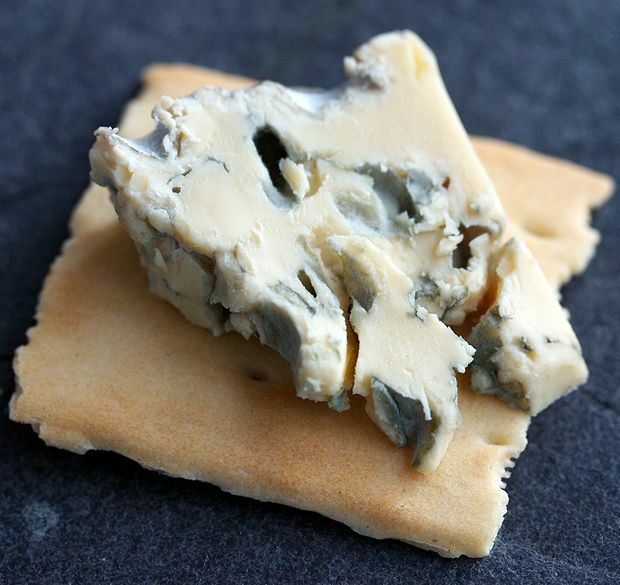 For blue mould in their mellow, aromatic Strathdon Blue or the ‘spicy, steely and sweet’ Blue Monday, the cheese is pricked with a skewer allowing the fungal hyphae to grow inside out, for maybe a month. Hard cheeses may wait up to two years to mature, in giant car-wheel-size truckles, wrapped in wax and stacked from floor to ceiling in refrigerated warehouses. Now, where’s an oatcake?